Oregon is failing its public school students. We've known about this for years. We've known this for years. Talking about it hasn't helped. Occasional infusions of cash from the Legislature have only been hindered by budget cuts in subsequent years. Oregon is almost 10 percent below the national average and has ranked among the worst five states for five years in a row, Richardson wrote. 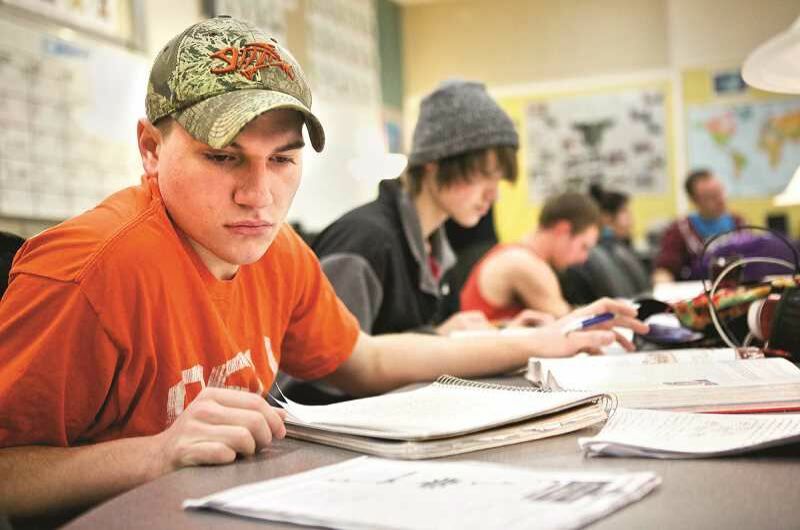 When you look at the five-year high school completion rate, which includes the now-much-harder GED diploma, the figure jumps to 82 percent for 2015-16. That's better, but indicates there's plenty of room for improvement. None of this is new. We've known that these statistics were abysmal for years now. So we were heartened when the Oregon Senate and the Oregon House announced last week the creation of a Joint Committee on Student Success. That committee spent a year — in 2016 and 2017 — touring the state, talking to people all over, and getting input from local governments, farmers, business people, voters, and transportation professionals. Nobody predicted in early 2016 that the transportation committee would come up with such a wide-sweeping proposal. Or that it would easily clear the "super-majority" hurdles in both chambers with bipartisan support. The 14-member education committee will kick off right after the 2018 short legislative session ends in March, putting it on roughly the same schedule — and path — as the transportation panel. The bi-partisan committee will tour the state to hold hearings and to gain insight from urban, suburban and rural communities, and from conservative, moderate and liberal parents, teachers and students. Luckily, the new committee got a jump-start, even before it was formed. A year ago, the state's revamped Chief Education Office released a report looking at Oregon's graduation rates. It had plenty of academic analysis, but also some common sense observations, gleaned during conversations with more than 1,000 Oregonians across the state, including many students and parents representing groups that have historically been ill-served by the state's education system. The report makes it clear that boosting the graduation rate is not enough. Oregon must prepare its kids for life after high school — so they can be productive members of the state's economy and their local communities. Past attempts at reaching that summit have faltered. Vera Katz's Education Act for the 21st Century (1991), the Quality Education Model (1999) and the Oregon Chalkboard Project (2004) all raised hopes that significant education reform was possible. All contributed to improving students' academic lives, but none were able to forge a path to sustainable improvements. It's just guaranteed not to be the same-old, same-old. And that's something.